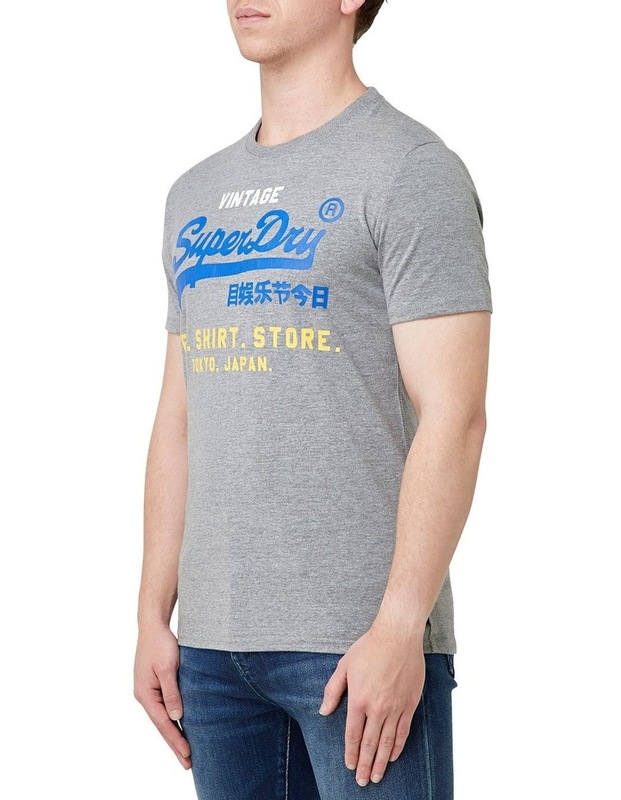 Superdry men's Shirt Shop Tri t-shirt. 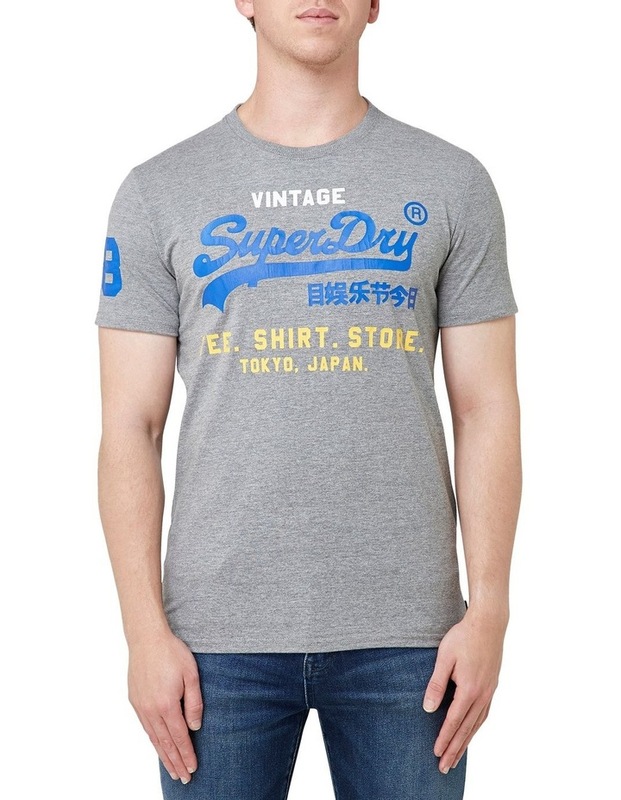 A classic crew neck t-shirt featuring a tri-colour Vintage Superdry print across the chest. . 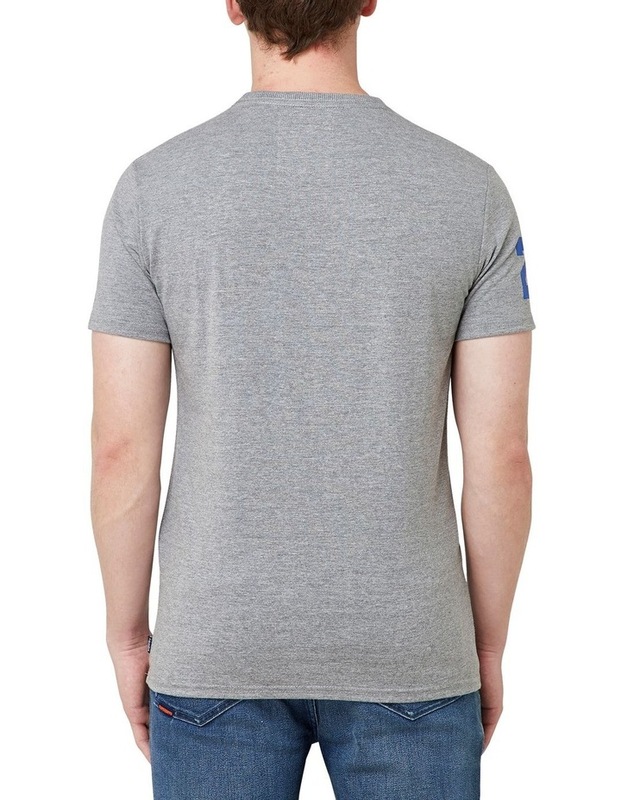 The Shirt Shop Tri t-shirt is finished with a Superdry logo tab on one side seam.